In case you can't tell, this is our chair. I say "our" chair, but Brokaw has staked his claim. As soon as Momma leaves for work he heads up here and snuggles in. 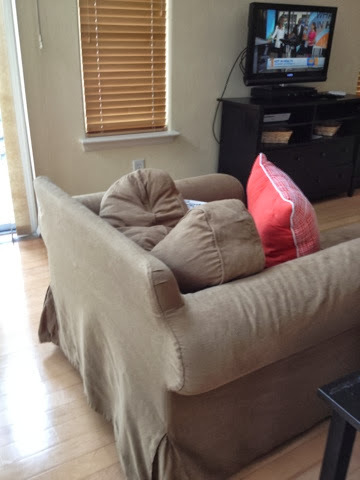 We try to keep the cushion laid down so it isn't smushed beyond recognition, but sometimes he beats us to it. So now I'm off to beat the heck out of it and get it flat (the cushion, not the dog).